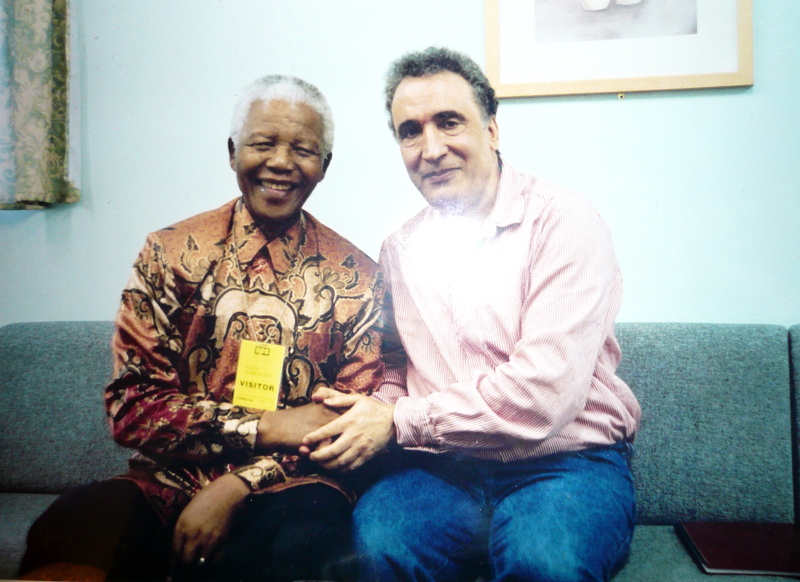 Mandela visiting Megrahi — aka the ‘Lockerbie bomber’ — in prison. Many thanks to my friend John Ashston who took the picture. On Tuesday July 4 2017, the Scottish Criminal Cases Review Commission [SCCRC] confirmed that it has received a new application to review the conviction in the case of Abdelbaset Ali Mohmed Al-Megrahi. Abdelbaset al-Megrahi — the only person ever convicted for the Lockerbie bombing — died on May 20 2012. His New York Times’ obituary was a bit of a surprise as the US Newspaper admitted — for the first time ever — that the case against him was riddled with errors and false testimony. Lord Sutherland was the presiding judge at the Lockerbie trial, sitting with Lord Coulsfield and Lord MacLean. Lord Abernethy was an additional judge. At the Lockerbie trial, the judges heard 229 prosecution witnesses and three defence witnesses; they reviewed 2,488 pieces of evidence. The transcripts fill up 10,232 pages of evidence amounting to more than 3m words. The total cost of trial has been estimated at £ 60m. “After writing about the ‘ravers’ who regularly turn up at lectures to claim that President Bush/the CIA/the Pentagon/Mossad etc perpetrated the crimes against humanity of 11 September, I received a letter this week from Marion Irvine, who feared that members of her family run the risk of being just such ‘ravers’ and ‘voices heard in the wilderness’. “The truth was inconvenient. The three judges had to dismiss it in order to justify a verdict that had been decided more than a decade before the first day of the Zeist trial. On July 3 1988, Iran Flight 655 was shot down by a missile cruiser fired from the USS Vincennes under the command of William C. Rogers III. And of course, one of the great tragedies that emerges in the summer of 1988 is one of our naval vessels shoots down an Iranian Airbus, by mistake, but nevertheless with a great loss of civilian life on this civilian airliner. That, in itself, generates a sequence of events that comes back to haunt us. So it’s interesting to look at these in hindsight. We used to look at them as kind of discrete events, not tied to each other, and seen in a vacuum. But from a distance, I think we can see more of a pattern. The practical result of that is the Iranians initiate the sponsorship of a number of terrorist plans against the United States. The immediate reaction is to agree with the Ahmed Jibril group to conduct a series of operations against the United States, revenge operations, the settlement of a blood debt. Intelligence is following this very closely. “When Dumfries and Galloway Constabulary began its investigation into the bombing, it believed the PFLP-GC was involved. A report written in 1989 by Supt Pat Connor identified 15 members of the organisation he wanted arrested and questioned, and the then Transport Minister Paul Channon invited selected journalists to an off-the-record briefing to set out the case against Iran and the PFLP-GC, adding that arrests were imminent. “We have felt, since the first days in December 1988, that something was being hidden from us … the discrediting of the Helsinki (US embassy) warning, the presence of the CIA on Scottish soil before the work of identifying bodies was properly undertaken, the Teflon behaviour of ministers and government all contributed to a deep feeling of unease. In mid 1989, Secretary of State James Baker visited with Syrian Foreign Intelligence Minister Farouk al-Sharaa. There is, in my opinion (not necessarily shared by the families), an explanation for all this, an explanation so shocking that no one in high places can contemplate it. It is that the Lockerbie bombing was carried out not by Libyans at all but by terrorists based in Syria and hired by Iran to avenge the shooting down in the summer of 1988 of an Iranian civil airliner by a US warship. This was the line followed by both British and US police and intelligence investigators after Lockerbie. Through favoured newspapers like the Sunday Times, the investigators named the suspects – some of whom had been found with home-made bombs similar to the one used at Lockerbie. This line of inquiry persisted until April 1989, when a phone call from President Bush senior to Prime Minister Margaret Thatcher warned her not to proceed with it. A year later, British and US armed forces prepared for an attack on Saddam Hussein’s occupying forces in Kuwait. Their coalition desperately needed troops from an Arab country. These were supplied by Syria, which promptly dropped out of the frame of Lockerbie suspects. Libya, not Syria or Iran, mysteriously became the suspect country, and in 1991 the US drew up an indictment against two Libyan suspects. “The security Council has no authority to demand anyone’s extradition. (…) Nevertheless, Bush senior got the votes. The key vote was China. To get the Chinese vote, Bush senior agreed to have his infamous meeting in New York with premier Li Ping, the Butcher of Beijing, the official in charge of the Tiananmen Square Massacre. US Secretary of State Madeleine Albright said it was time for Libya to turn its promises into deeds and surrender the suspects for trial immediately. She said the proposed plan was not negotiable. She said: “Let me be clear. The plan the US and the UK are putting forward is a ‘take it or leave it’ proposition. In closing arguments, the prosecution stressed the point that Megrahi could not have planted the bomb without the assistance of Fhimah – that both defendants were equally guilty, and should stand or fall together. Beyond the Lockerbie trial, the failure of the Crown to place the public interest in a fair trial above the interest of the prosecution in obtaining convictions is illustrated by the extent to which the Lord Advocate has recently had to be dragged, kicking and screaming, through the Privy Council in London before making available to the defence material in the prosecution’s possession that no-one could conceivably deny was of relevance and assistance in the accused person’s defence: see Holland v HMA 2005 SCCR 417; Sinclair v HMA 2005 SCCR 446. So much for the fairness of the trial being the Crown’s primary and predominant motivation! It is high time for all involved in the Scottish criminal justice system to put away childish things. All of us, judges included, are surely too old to believe any longer in fairy tales. Fairy tales can be convenient and comforting and can bolster our self esteem. But, as in the case of the belief that the Crown can uniformly be relied upon always to act selflessly in the public interest, they can be dangerous and, if acted upon, work terrible injustice. The former Conservative minister described Tony Gauci, the Maltese shopkeeper whose testimony was central in securing a conviction against Abdelbasset Ali Mohmed al-Megrahi, as “not quite the full shilling” and “an apple short of a picnic”. Gauci was not quite the full shilling. I think even his family would say (that he) was an apple short of a picnic. He was quite a tricky guy, I don’t think he was deliberately lying but if you asked him the same question three times he would just get irritated and refuse to answer,” he said. Tony Gauci is the proprietor of the shop ‘Mary’s House’ in Sliema, Malta from where the clothing in the suitcase allegedly containing the explosive device is said to have been purchased. He stated that the man who purchased the clothing resembled Megrahi. “The clothes were bought either on November 23 or December 7, 1988. Megrahi was in Malta on December 7 but not on the November date. The shopkeeper recalled that the man who bought the clothes also bought an umbrella because it was raining heavily outside. “New evidence not heard at the trial concerned the date on which the Christmas lights were illuminated in the area of Sliema in which Mary’s House is situated. In the Commission’s view,taken together with Mr Gauci’s evidence at trial and the contents of his police statements, this additional evidence indicates that the purchase of the items took place prior to 6 December 1988. “The evidence was weak, understandably given the circumstances. That has been compounded by doubts over Tony Gauci’s evidence. 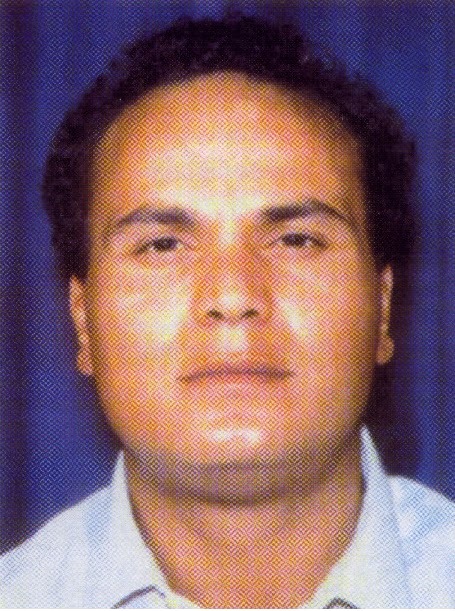 He was a crucial witness who identified Megrahi as the man who bought clothes placed in the suitcase containing the bomb. “Additional evidence, not made available to the defence, which indicates that four days prior to the identification parade at which Mr Gauci picked out the applicant, he saw a photograph of the applicant in a magazine article linking him to the bombing. “Megrahi’s identification by Tony Gauci, the Maltese shopkeeper, would remain spectacular in its noncompliance with any safeguard. He described al-Megrahi as ‘6’0’’’ (he was 5’8’’), ‘50 years old’ (he was 37), and ‘hefty’; said that he ‘had been to the shop before and after’, ‘had been there only once’; that he ‘saw him in a bar months later’; that he ‘will sign statement even though I don’t speak English’; that al-Megrahi ‘was similar but not identical’, ‘perhaps like him but not fully like him’, and, fatally for any identification of al-Megrahi in the first place, that he was ‘like the man in the Sunday Times’ (in other words, like Abu Talb, whose picture Gauci had initially identified). A German expert has raised fresh controversy on a crucial piece of evidence in the conviction of Abdel Basset Al-Megrahi as the Lockerbie bomber. The verdict relied heavily on the judges’ acceptance of a brief computer printout of the baggage movements at Frankfurt airport. The prosecution had argued it proved an unaccompanied bag containing the bomb was transferred from Air Malta flight KM180 to the Pan Am flight 103 to London on December 21, 1988. In the original trial, the Crown could offer no evidence of how the bag got aboard the Air Malta flight in the first place. Malta had presented records showing that no unaccompanied baggage was on the Air Malta flight in question. Noel Koch — headed the US Defence anti-terrorism Department from 1981 to 1986. David Wolchover, barrister and Head of Chambers Emeritus at 7 Bell Yard, London. If anything suffered at the Lockerbie trial this week as much as the star witness who withered under cross-examination, it seemed to be the credibility of the American intelligence community. Both the Central Intelligence Agency and the Federal Bureau of Investigation appeared badly singed by the results of the first-ever release of C.I.A. cables in a foreign court, by a series of evasive answers from an F.B.I. investigator and by the poor showing by the witness, Abdul Majid Giaka, who spent three years on the C.I.A. payroll and nine in the federal witness protection program. The cables revealed that even his C.I.A. handlers had doubts about Mr. Abdul Majid. “That was their exact words, ‘we took one for the team’. 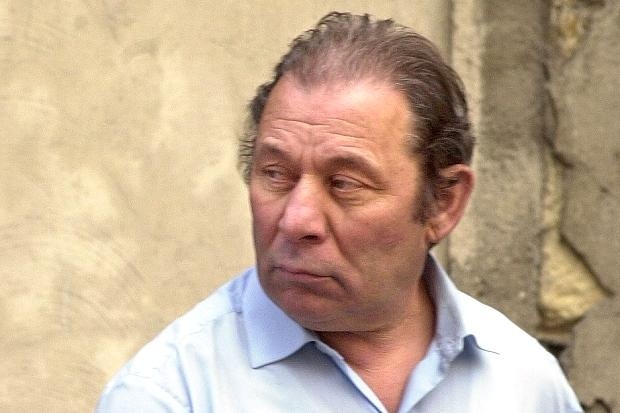 Meaning they knew Giaka [The Lockerbie Trial ‘Star’ witness] was a fraud, a swindler”. “The testimony of the most important witness in the Lockerbie trial was systematically torn to pieces by defense lawyers today. Two defense lawyers spent the day battering every important point made on Tuesday by Abdul Majid Giaka, a Libyan double agent who has been in a United States federal witness protection program for the last decade. Mr. Abdul Majid’s tentative performance today, coupled with his failure on Tuesday to link the two defendants firmly to the bomb, seemed seriously to undermine his usefulness to the prosecution and its effort to prove beyond a reasonable doubt that the two Libyans on trial, Abdelbaset Ali Mohmed al-Megrahi and Al Amin Khalifa Fhimah, blew up Pan Am 103 in 1988, killing 270 people. Oliver Miles — Former British ambassador to Libya. 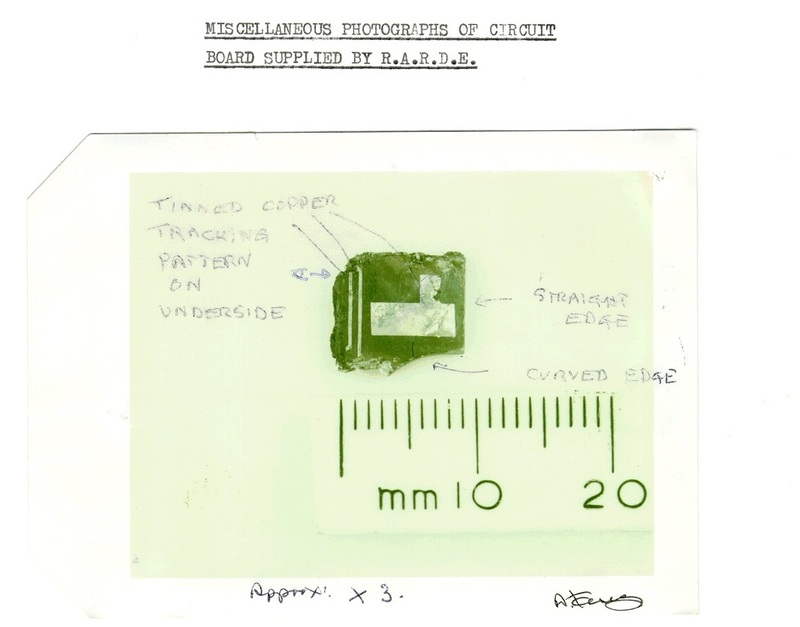 “Mr Marquise does not mention the fact that the Scottish police knew from as early as March 1990, well before the fragment was linked to Mebo, that its pure tin coating was very unusual. “Dr. Hayes seemed to have no real recollection independently of his notes of having found PT 35B. The sequence of the PT numbering and the absence from the notes of a drawing of the circuit board are unusual features. The pagination of the notes was described by Hayes as “an unfathomable mystery”, for which he did propose an explanation, but unfortunately one that does not work. The memorandum of the 15th of September 1989 is difficult to understand if the fragment was indeed found on the 12th of May 1989. PT/35B is an important piece of evidence on which the Crown rely and in respect of which it is for the Crown to satisfy the court as to its provenance. Thomas Gilchrist, admitted under cross-examination by defence advocate Richard Keen, that a description on one label which was shown magnified on a courtroom imager might possibly have been changed from “clothes” to “debris”. So sure were the Police that Talb was their man that they even fabricated evidence of a piece of clothing found in his home in Sweden and originally described as a pair of child’s kick-trousers with a size and a manufacturer into being a Babygro with Penguins on the front the same type of course as described in the shipment note lodged at Court to prove the evidence of Gauci and his lamb/sheep Babygro he claimed to have sold to the man. That’s what makes this case so different. Megrahi was convicted on false evidence originally intended to be used against someone else and if any of that evidence was tested in Court by a Defence Team Properly briefed by Defence Investigators then Megrahi’s name would be cleared. “The forensic link to Libya was allegedly established by a tiny piece of circuit board from a timer, mysteriously found in remote countryside after the bombing, and traced by the FBI to a Swiss manufacturer who sold timers to Libya. The genius behind this detective work was FBI agent Tom Thurman. For reasons that were never clear Mr Thurman was not called to give evidence to the hugely expensive trial of two Libyans three years ago. The US authorities and their media, however, were full of praise for Thurman and his work. In November 1991, for instance, he was named “Person of the Week” on the TV Network ABC. The rivers of praise dried up rather suddenly when The Person of the Week’s work at the FBI Explosives Unit was investigated by the Department of Justice. Their inquiry found that Thurman “had been routinely altering the reports of scientists working in the unit”. This position is clearly inaccurate, as was discovered during the precognition process. In fact Sherrow gave the timer K1 to the CIA in late 1987 and it was in CIA possession until June 1990. John Orkin* [Real name: Jack Christie] of the CIA was the person who identified the similarity between PT/35(b) and K1, not Thurman. I was told that, as far as the CIA (the Agency) was concerned, it was not to be involved in the chain of custody and that the device was to be regarded as having come directly from the Bureau of Alcohol, Tobacco and Firearms. I took the device and said that I would obtain instructions from headquarters as to how to deal with the situation. I showed the timing device and photograph to the laboratory director and he agreed with the identification. This was the first occasion on which I “fronted” a find for the Agency. The decision to present the situation in this manner was made within the administrative confines of the Federal Bureau of Investigation. I do not know who made the decision. For public consumption, the Bureau of Alcohol, Tobacco and Firearms had provided the timer. “In early February 1989, Feraday wrote that he was completely satisfied that fragments recovered at the Lockerbie crime scene originated from a white Toshiba brand radio stereo cassette recorder types RT-8016 or RT-8026. “Look — in the intelligence community — I’m not giving you a controversial opinion here. I kept up with all of the CIA, National Security Agency analysts, everybody involved in the intelligence side, and to a man nobody has ever said to me that it was Libya”. “The National Security Agency reporting on Lockerbie is absolutely damming that it was Iran and Syria behind it, rather than Libya. It’s damning, damning, damning, it’s rock solid intelligence”. “Exactly when everyone decided Libya was responsible for this outrage I can’t actually remember. Mr Gaddafi seemed to be everybody’s whipping boy at the time, so that could explain it. “The bombing of the Pan Am flight was conceived, authorized and financed by Ali-Akbar Mohtashemi-Pur, the former Iranian minister of Interior. Noel Koch — who headed anti-terrorism efforts for the US Defense Department from 1981 to 1986 — never accepted the “Lybian Theory”. “It was decided by the two governments, by the United States and the United Kingdom, that Libya had been responsible for the bombing of Pan Am 103. “I am pleased that Mr Megrahi’s family has decided pursue an appeal against his conviction. “As someone who attended the trial, I have never taken the view that Megrahi was guilty. From the outset the Lockerbie disaster has been marked by superlatives. The bombing was the deadliest terror attack on American civilians until 11 September 2001. It sparked Britain’s biggest ever criminal inquiry, led by its smallest police force, Dumfries and Galloway Constabulary. It spelled the end of Pan Am, which never recovered from the damage to its reputation. The trial at Camp Zeist was the longest and – at a cost of £75 million – the most expensive in Scottish legal history. The appeal hearing was the first Scottish trial to be broadcast live on both television and the internet. Lawyers, politicians, diplomats and relatives of Lockerbie victims now believe that the former Libyan intelligence officer is innocent. “US senators are calling for an inquiry into allegations that BP lobbied the British government to let Megrahi go in order to protect their interests in Libya. “If I thought for one moment that Abdelbaset al-Megrahi was guilty as charged in the mass murder of 270 innocent people in the crash of the Pan Am airliner “Maid of the Seas” at Lockerbie on 21 December 1988, I would not have agreed to pen an obituary – let alone an affectionate one. ”Ideally they would like to know who was responsible, and I think they would also like to know why the crime was committed in the first place, who sponsored it and for what reason ?” he said. “I am optimistic about the outcome of the Megrahi family’s forthcoming application to the SCCRC. In June 2007 the SCCRC decided, on six grounds, that there might have been a miscarriage of justice. “The reputation of Scottish law has suffered both at home and internationally because of widespread doubts about the conviction of Mr al-Megrahi. It is in the interests of justice and restoring confidence in our criminal justice system that these doubts can be addressed. “Whilst the pain and anguish of the American relatives is understandable they should also be aware that this appeal would have the support of many British relatives who lost their loved ones too that awful night in December 1988. Jim Swire, is an English doctor best known for his involvement in the aftermath of the 1988 bombing of Pan Am Flight 103, in which his daughter Flora was killed. Swire lobbied toward a solution for the difficulties in bringing suspects in the original bombing to trial, and later advocated for the retrial and release of Abdelbaset al-Megrahi. Some excellent comments here and all pointing to the fact that Megrahi and Libya had nothing to do with the lockerbie bombing. So why are the authorities so intent on supressing the truth? That an innocent man (Abdelbaset Ali Mohmed Al-Megrahi) was convicted of a crime he was totally innocent of was bad enough, that the CIA and UK government were complicit in this sham was extraordinary and worse still, that the judiciary chose to continue in this utter farce to it’s ultimate conclusion and miscarriage of justice was downright disgusting. So many guilty and just one person paying the price – beyond words.